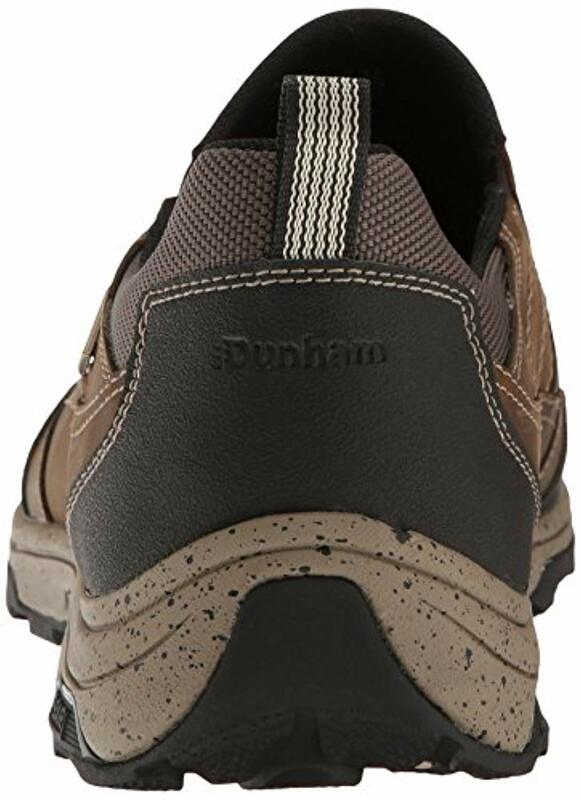 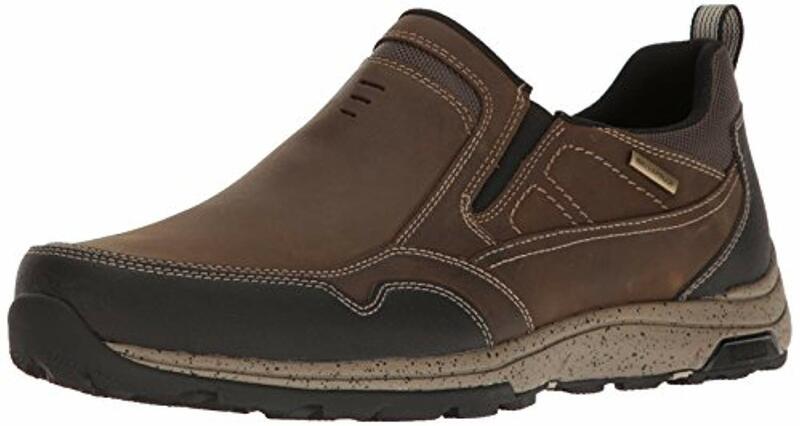 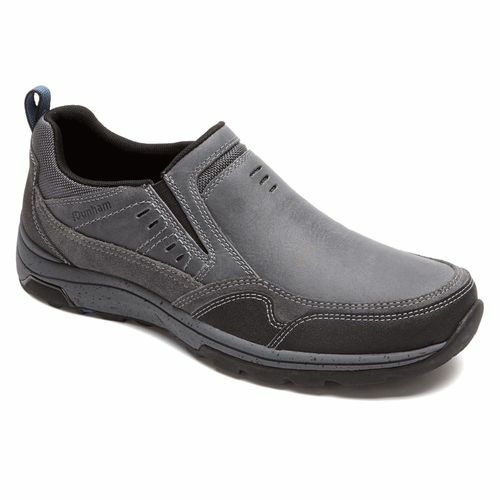 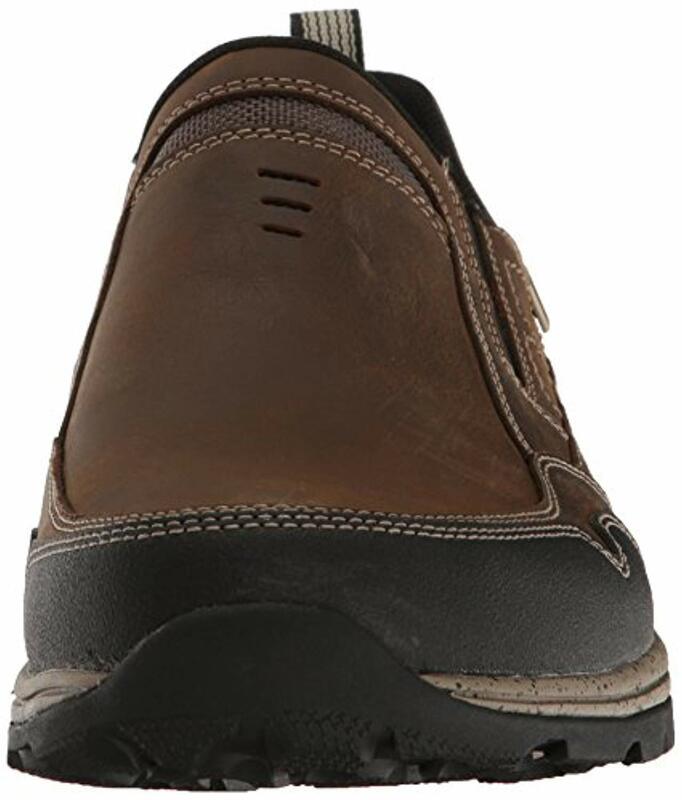 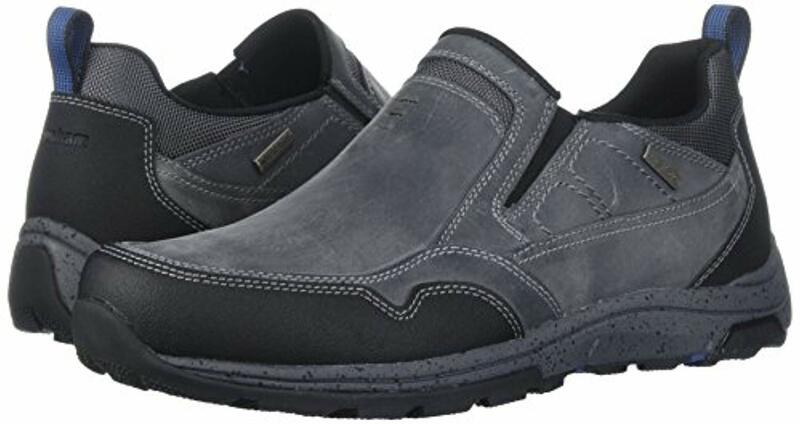 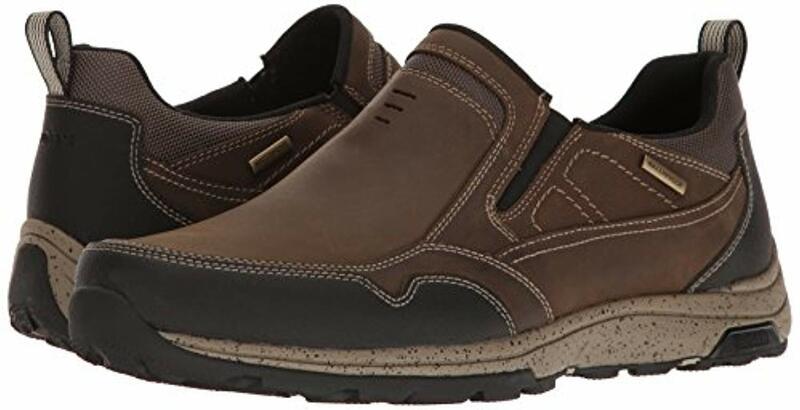 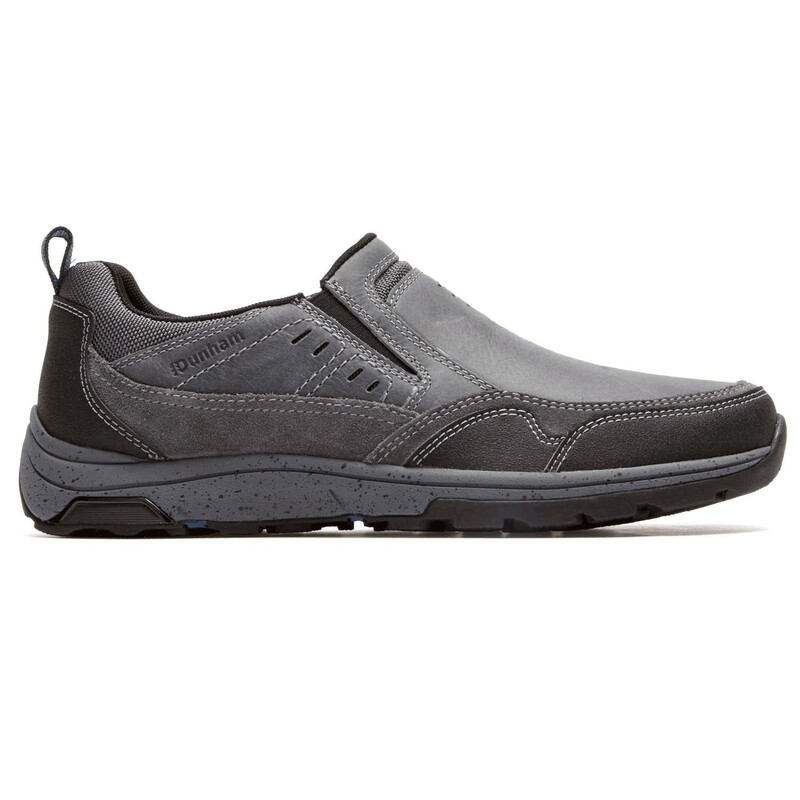 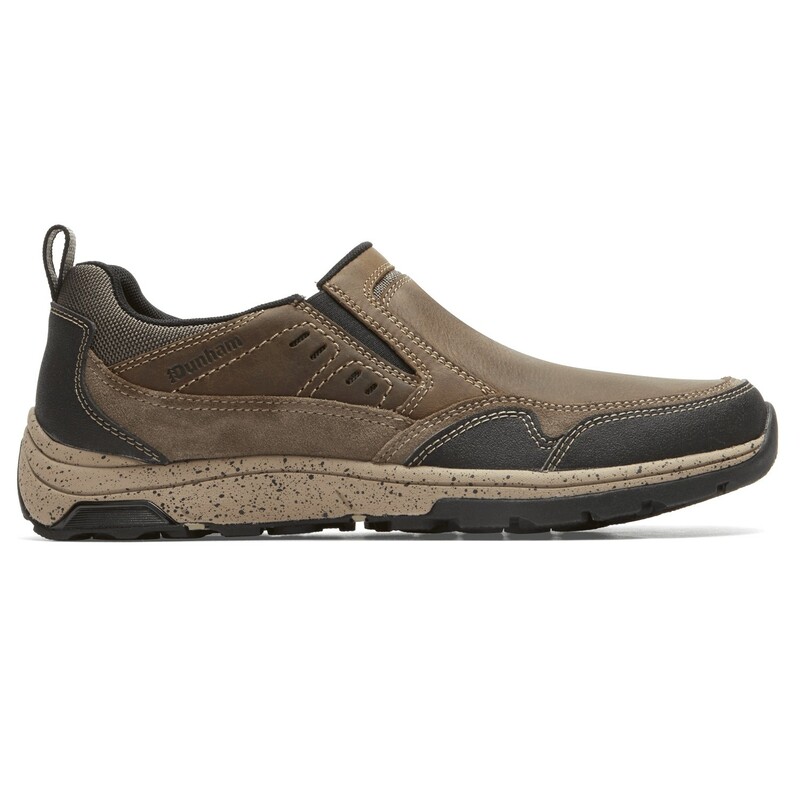 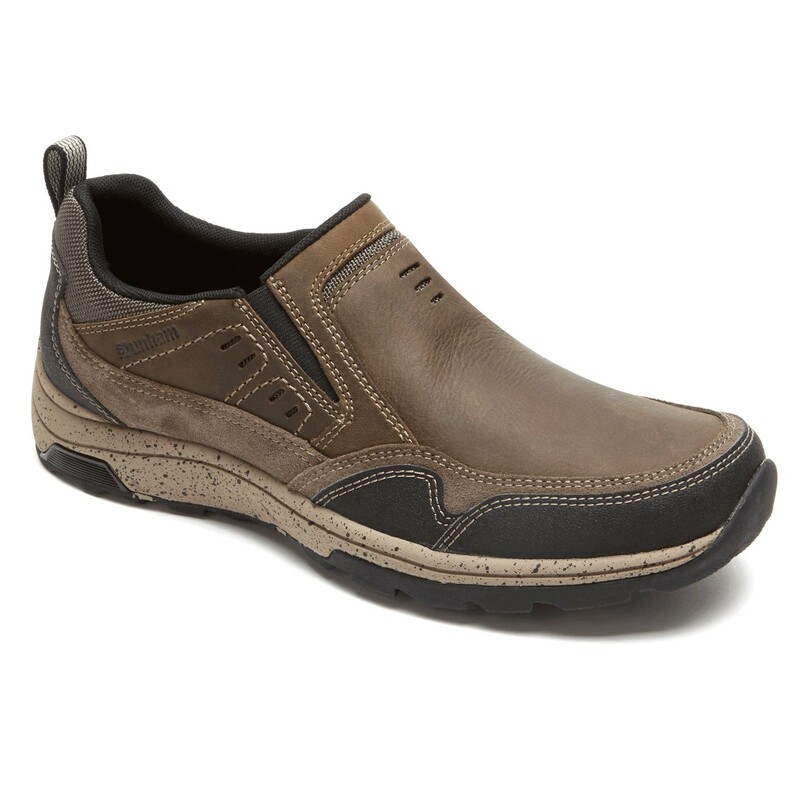 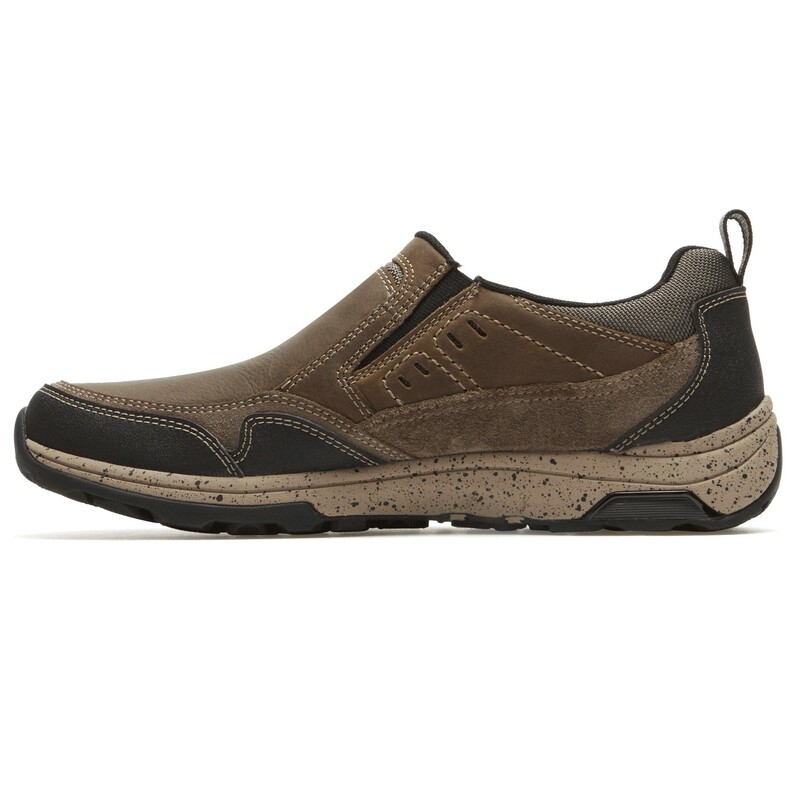 Dunham Trukka Slip On - Men's Comfort Casual Shoe. 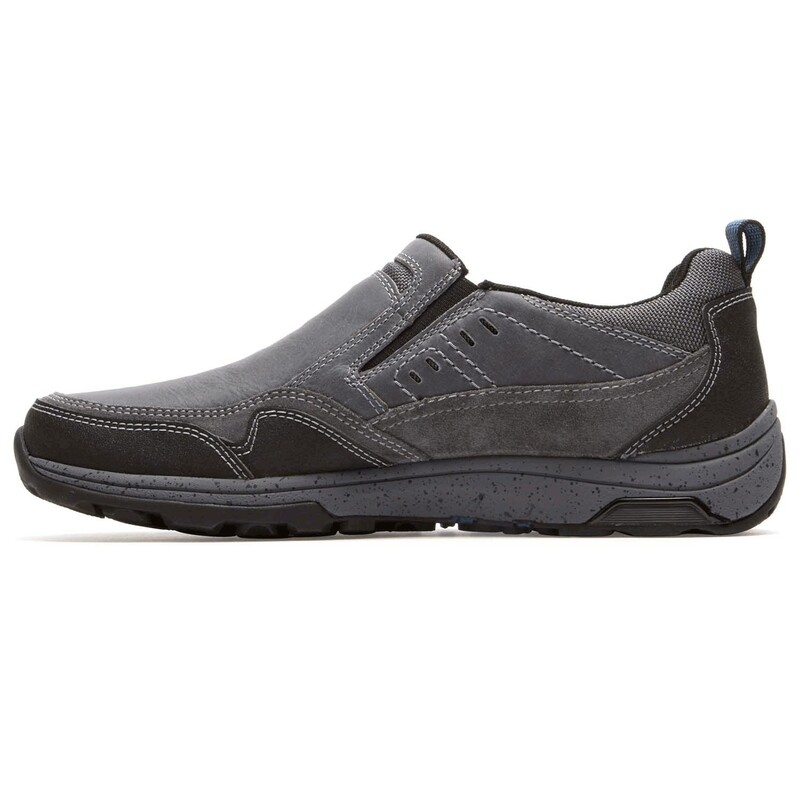 Casual with rugged appeal, the men’s Dunham Trukka Slip On is perfect for days on the go. 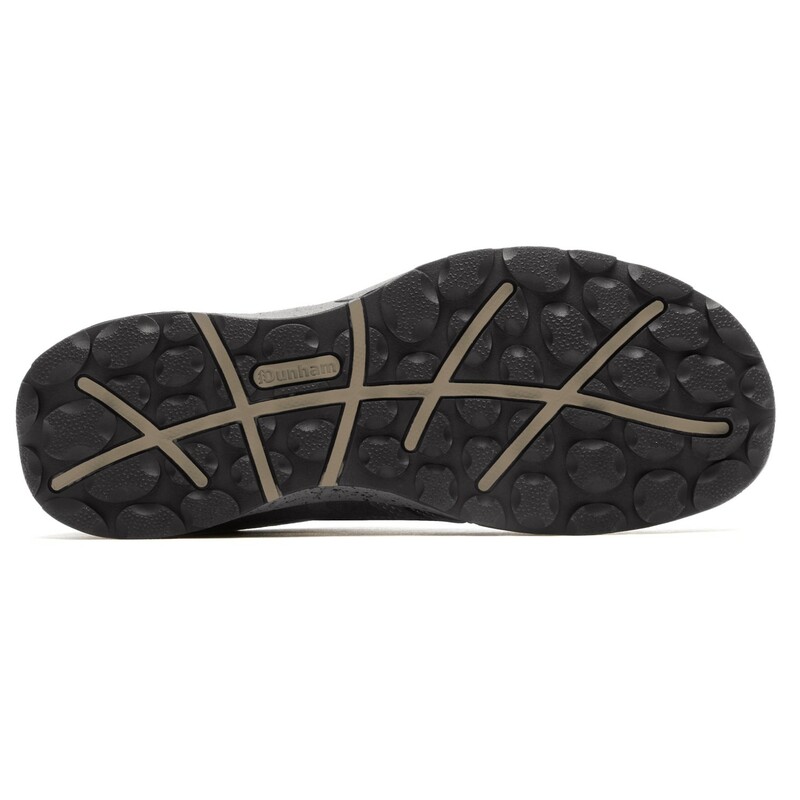 Twin side elastic gore panels help secure the foot in place. 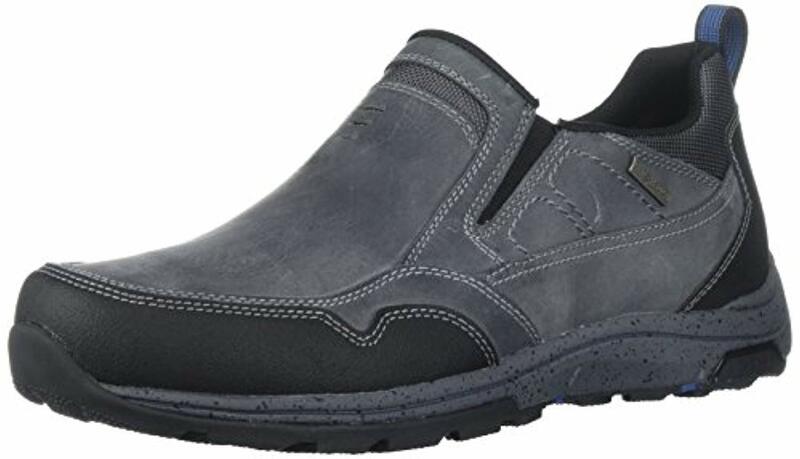 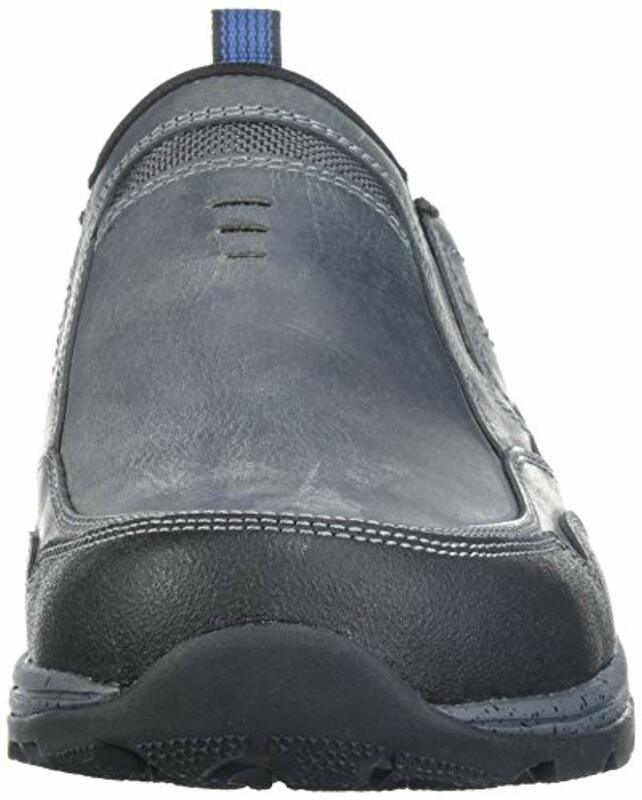 The cushioned and contoured OrthoLite® footbed is removable to accommodate custom orthotics for a more personalized fit.. Waterproof leather and mesh upper.. Dual side goring for a secure fit.. Rear pull tab for easy on/off wear..
Seam-sealed waterproof construction Dunham fits. 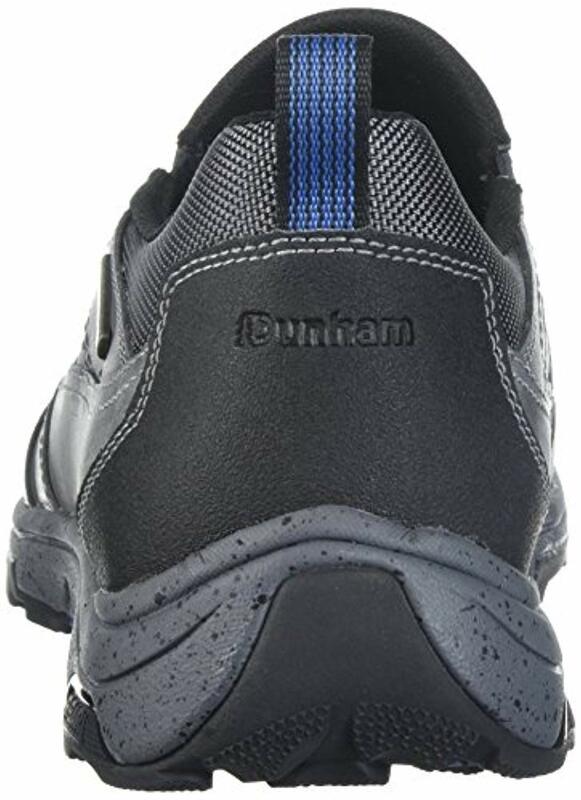 Dunham products are made to fit your life, your needs, your activities, and most importantly, your feet. 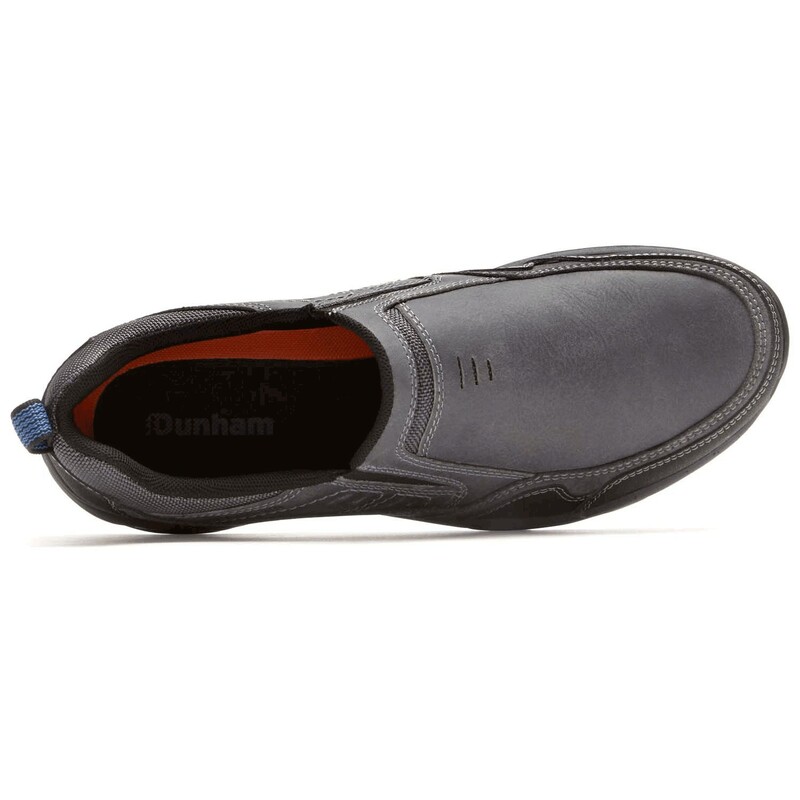 Dunham makes outdoor, work and casual shoes in more sizes and widths than anyone else. This means that no matter what path you take, Dunham fits.